Day trading, or intraday trading, is a method that works just like it sounds: you enter a trade involving one or more stocks (or another security) and exit the trade — which you’ve only held onto for seconds, minutes, or hours — by the end of the day. The plan is to make a trade and exit with a profit — the sooner the better — and still get a good night’s sleep. Because uninformed traders have made mistakes in the past, many myths about day trading exist. 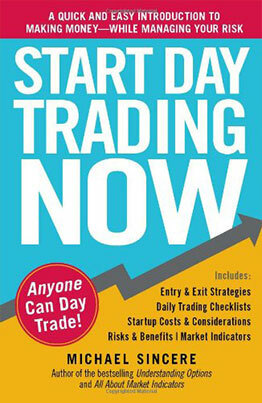 InStart Day Trading Now, you’ll learn the truth about day trading, including how much money you’ll need to get started, how to choose a broker, set up a trading account, read charts, use technical indicators, place a trade, and manage your money and emotions. Interviews with professional traders are also included.